Today we are lucky enough to welcome Laszlo Giricz the Founder and CEO of Poseidon Foundation. Poseidon is the leader in the field of “blockchain for good” and has developed a solution that enables individuals, organizations and governments – such as Liverpool City Council – to engage in essential climate action. 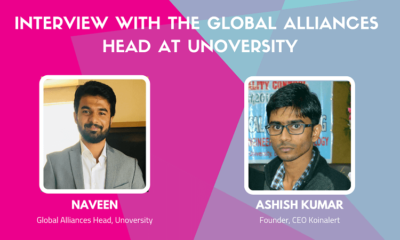 Koinalert Founder and CEO, Ashish Kumar had the pleasure of asking Laszlo Giricz a few questions. Included below are some Q&A’s from that conversation. 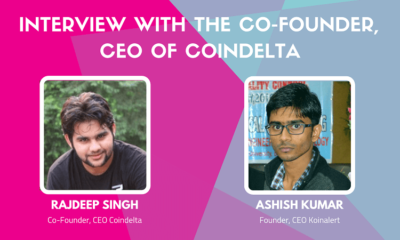 Ashish: You were one of the speakers at Delta Summit which was held from 3rd – 5th October 2018. How are you feeling? Laszlo: Malta is a beautiful island and I am always happy when I have the opportunity to return to it. Speaking in Malta is always the perfect mix of business and pleasure – it was a fantastic panel and it was great to be amongst some of the most prominent voices in the blockchain industry. Laszlo: In a nutshell, we empower everyone to turn all purchases into climate action. Everything we consume has a negative impact on the environment. We allow everyone to turn this impact into a positive contribution towards protecting our planet. For example, you will go into a participating store and when you buy a pair of shoes, you will be able to pay a fraction more to support forest conservation – thereby avoiding more carbon emissions than the lifecycle of your purchase has caused. In the case of a pair of shoes that is less than 30 cents! I started Poseidon to become a force for good. A truly realistic solution to climate change and more. Ashish: Poseidon is working with Liverpool City Council to rebalance the cities carbon emissions by 110% by 2020, making it the world’s first climate-positive city. I think this would be great if you will achieve this target with the help of blockchain technology. Laszlo: We are working closely with Liverpool City Council to positively rebalance their carbon footprint by the end of 2018. With the help of the Mayor of Liverpool, we are already engaging with businesses in the city to integrate the Poseidon platform with the goal of enabling everyone to turn every purchase into climate action. Blockchain makes this possible by providing a transparency and traceability at a speed and a cost that were not possible before. The coming two years will be very exciting for Liverpool. Ashish: Your platform is fully operational at Ben & Jerry’s Scoop Store in London. Would you share the feedback that you received? Laszlo: What really took us by surprise is that customers not only loved the concept and gladly paid a penny more, many went above and beyond and paid much more. Ashish: Recently Binance has announced the creation of the Blockchain Charity Foundation. 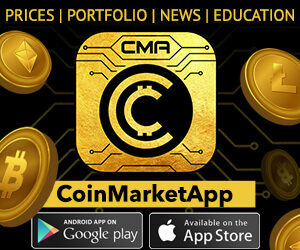 What will be the impact of this, will it help cryptocurrency for economic inclusion in the global markets? Share your opinion. It is a great initiative and Binance is giving a clear signal that any successful business should use its influence to do good. So far it seems that the investments were more in the financial field and we look forward to see Binance take the lead in impact investing with a focus on climate-related challenges. Ashish: Please share your journey so far and the way forward. Laszlo: I started Poseidon about a year and a half ago and have since had tremendous success with attracting real talent and powerful partnerships. What exhilarates me and gives me the energy to continue is that everyone loves the concept and we are frequently told that our platform is a real solution to one of the most significant existential threats to humanity, climate change. Of course, being passionate about nature helps too. Over the coming months, we are focusing on expansion, growth and further fundraising. We want as many people as possible to be able to use our platform so we can have the greatest positive impact on the climate, and we are happy to be receiving such an overwhelming number of requests for our platform. The real question now is how quickly we will grow. Ashish: Thank you for joining me today, we wish you all the best. Laszlo: Thanks a lot for having me.